IAOMT Dentist – Safe Mercury Amalgam Removal Technique in Burtonsville Columbia MD? Looking for an IAOMT dentist who is amalgam and mercury free? We are a biological dental practice located in Burtonsville Columbia MD that practices safe mercury amalgam removal technique. Aka smart amalgam removal dentistry. Dr Adams is a holistic dentist who is certified and trained to safely remove amalgam fillings by the IAOMT. Searching IAOMT Dentist near me? Amalgam fillings contain more than 50% mercury and are silver in color. Mercury amalgam removal should be done in a safe manner for the benefit of the patient and the dental office team. The IAOMT safe mercury amalgam removal technique involves the use of a latex-free rubber dam, powerful suction, mercury gas filtration, water irrigation and supplementary oxygen gas. • Amalgam filling material is cut out into large pieces – the larger the pieces, the less likely the pieces are to become ingested. Thus minimizing the potential harmful effects of mercury. • Cool Water Irrigation –drilling mercury fillings can produce a lot of heat and friction. The use of large amounts of water spray can keep the heat down and slow the release of mercury gas from the filling. Also small particles of mercury dust will not be atomized into the air but rather be captured in the water and more easily suctioned up. • Efficient suctioning and air filtration– powerful suction and filtration removes mercury gas vapors and filling material slurry released during filling removal. • Protective barriers – rubber dams are helpful in preventing filling particles from being ingestion or inhaled by isolating the working area from the mouth and preventing filling particles and procedure matter from being swallowed. Without the use of a dam, filling particles will be spilled and sprayed all over the mouth. During drilling out tooth fillings, filling particles will fly out at over 100mph sometimes being embedded into soft cheeks and other oral tissue. • Protect the patients exposed skin – use of a surgical drape and wet towel can protect the skin and clothing of the patient from contamination. • Provide Alternate Air Supply – to prevent the patient from breathing the air full of amalgam splatter and mercury gas, pure oxygen, in combination with nitrous oxide can be provided with the help of a positive pressure respiration device. So why is seeing an IAOMT dentist so important? How does it really cost to replace amalgam fillings with white composite material? Generally the costs are $300 – $600 per tooth to remove amalgam fillings. Plus the costs of rubber dam isolation per area of the mouth and disposables. A dental dam can be used to isolate 25% of the teeth at a time, so a total of 4 rubber dams maximum can be used. Many natural and biological dentists will offer activated charcoal pre treatment. Charcoal is basically a binding agent for heavy metals including mercury. Basically if any mercury enters the digestive track, it may bound to to the charcoal and passed through through the digestive system rather than getting stuck to the walls of your digestive system. 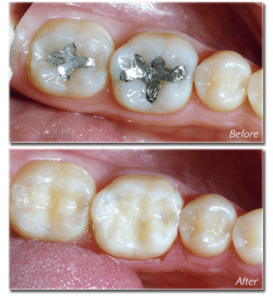 But what to do after amalgam removal? Is there anything I should do for mercury filling removal detox? We recommend sticking to safe, simple and natural techniques. Liposomal Vitamin C before and after amalgam removal. Vitamin C boosts the ability of the body to repair itself. Vitamin C is always good for you. 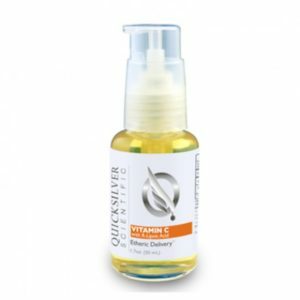 Liposomal Vitamin C is delivered through the thin skin under the tongue where it enters into the blood stream directly. Supplements taken by pill may never get absorbed or may get damaged in the stomach or broken down in the liver before becoming available. Liposomal Glutathione after removal of amalgam fillings. Glutathione is a natural supplement that should never be taken prior to removal of amalgam fillings. 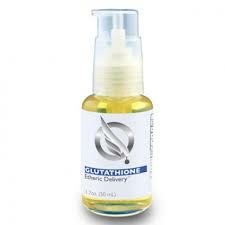 Glutathione will assist your cells in moving heavy metals out of cells and into the blood stream where you can pee it out. The problem is you do not want to increase heavy metals until you are no longer being exposed by the presence of mercury fillings. IAOMT dentist. Mercury is a very toxic substance to your body and it can cause many health issues. Mercury can be released into the body in several different ways including: chewing, drinking hot liquids, and teeth grinding. But one of the most dangerous ways it is released is the through the removal of mercury fillings. When drilling there is a release of mercury gas. It is very important to use a special filtration system and proper safe amalgam removal protocol to avoid mercury exposure. We can replace your old fillings with porcelain or another non-toxic resin material. Some larger silver fillings may need to be replaced with crowns. We use metal-free zirconia crowns. Zirconia us known to be one of the most biocompatible materials available in dentistry. It is also looks very nice like natural teeth and does not break. The dentist and staff who are not exposed due to a safe removal process. The dental staff remove fillings all day everyday and imagine the exposure and contamination to the dental office when fillings with mercury are not removed in a safe manner. • Use Nitrile Gloves – conventional latex gloves are permeable to amalgam and mercury filling matter, wheres nitrile gloves and not permeable to these things. • Breath Clean Air – it is important for the dental staff to breath clean air. ordinary face masks do not filter mercury vapors, so the use of masks with a charcoal filter are necessary. • Filtration – professional air purifiers are placed near the work field when fillings are removed. The air systems have charcoal filters that remove mercury vapors from the air and prevent contamination of the air quality in the office. Of course metal fillings have 50% mercury but there are many other reasons to remove them other than for reasons of toxicity. Most of us had them placed when we were kids and they are breaking down, leaking and when should we replace these things just anyways. All too often we wait too long and a root canal or dental implants are our only options. the fillings are older than 10 years. after 10 years, the margins on the fillings start to break down leaving a small gap between the filling and the tooth. This area leaks and cavities and rot occur under the fillings. metal sensitivity problems. many people are sensitive to one or more of the metals that are in the fillings. There are inexpensive lab tests to verify this and determine the ideal material to use with your fillings. You grind or clench your teeth. Mercury is released as a vapor when fillings are agitated and heated. This happens when we drill on silver fillings and that is why it is important to take special precautions when having them removed. They are also heated up when we grind on them. Teeth grinding (bruxism) is a common issue and should be considered when replacing your fillings. tooth sensitivity from filing breakdown. Amalgams weaken your tooth structure by contracting and expanding with changing temperatures. Heat causes expansion which we see in thermometer. Over the years you develop small cracks around your old fillings till eventually pieces start to come off. At this point crowns, root canals, and extractions are needed. It is better to treat these areas early to avoid root canals and tooth loss. Your teeth have started to fracture around your fillings. This can happen and you do not feel a thing. If your fillings are large then it may require a crown to restore the tooth and avoid a root canal or extractions. If the filling covers more than 50% of the chewing surface a crown may be your best option. Does Dental Insurance Pay for Safe Mercury Filling Removal? It really depends on the specific insurance plan. Some dental offices will charge a separate fee for IAOMT Safe Removal of a Silver Metal Filling. A dental PPO insurance often covers 40-80% of the cost of filling replacement. Most insurance plans have a annual maximum benefit such as $1500-$5000 at which point the patient will need to pay for 100% of the fee. Some insurance plans have a maximum allowable charge and others will pay on a pre-determined fee schedule. We have insurance professionals in the office who will contact your insurance company and determine how your insurance works in our dental office.